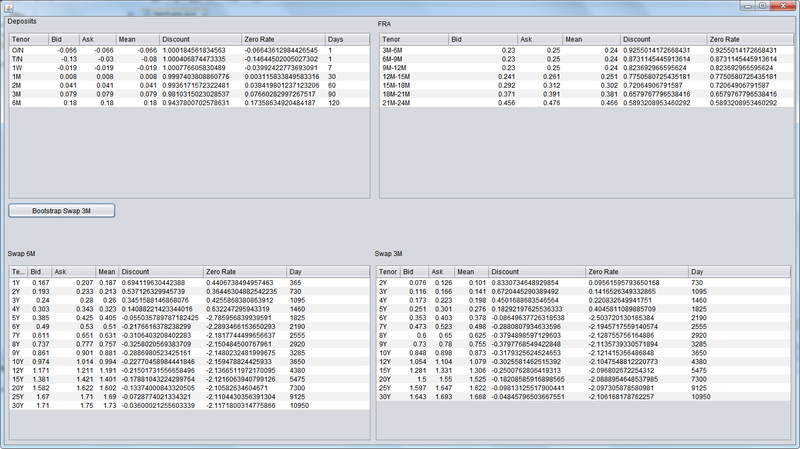 Hi I am writing a program to Bootstrap a EURO zero swap-curve for tenor 3M and 6M with given bid and ask. When I run the program , I get a negative zero rate and discount factor from 5Y till 30Y for both Swap 3m and 6m. Is it normal or am I doing something wrong in calculation? The formula seems to be correct. Negative interest rates are not impossible in these days. Have you checked the algorithm with values that produce positive rates? And in what area lie the negative ones? In the case of negative interest rates the discount factors should be greater than one, of course. Negative discount factors are (even in these days) not possible. Not the answer you're looking for? Browse other questions tagged swaps bootstrapping discount-factor-curve or ask your own question.